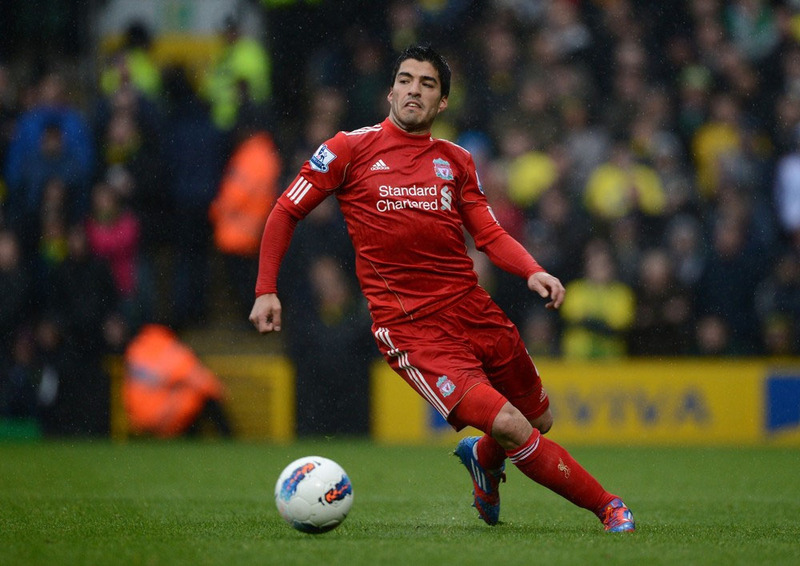 Luis Suarez scored his first-ever Liverpool hat-trick as the Reds ran-out 3-0 winners against Norwich at Carrow Road. 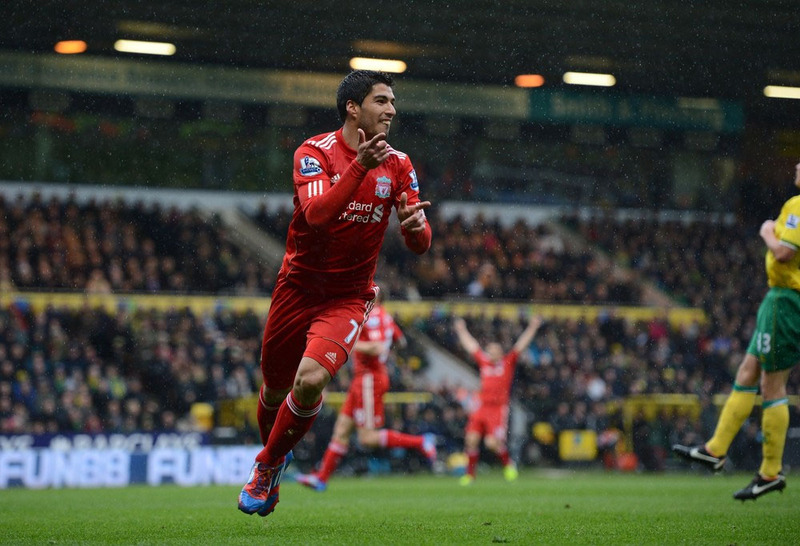 The Uruguayan was simply unplayable and his third goal, a sensational lob from 35-yards, will last long in the memory. Operating off the shoulder of the Norwich defenders, he pulled them back and forth, in and out of position and netted twice in the space of four minutes mid-way through the first half. Behind him the returning Steven Gerrard was full of drive and creation while Jordan Henderson and Jonjo Shelvey guarded the back four. 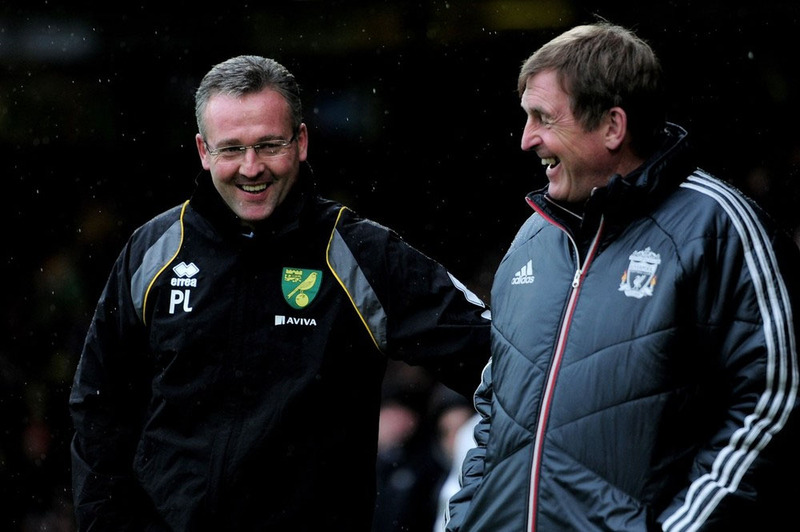 However, as the rain poured down at Carrow Road and the game commenced in a lively fashion, Norwich looked the sharper of the two sides. The home team moved the ball well along the slippery surface. They pressed and harried the Reds and on nine minutes, would have opened the scoring but for a piece of alert defending from Jamie Carragher.Anthony Pilkington ghosted in from the left flank and looked to whip the ball into the danger area but Carragher hurled himself in the way to clear the danger. Daniel Agger sprayed the ball wide to Craig Bellamy, the Welshman slipped it to Jose Enrique on the overlap but the Spaniard's centre was cut-out before Stewart Downing could connect. Captain Steven Gerrard stalked David Fox before ruthlessly robbing him of possession 30 yards from goal and flicking the ball inside for the Uruguayan. 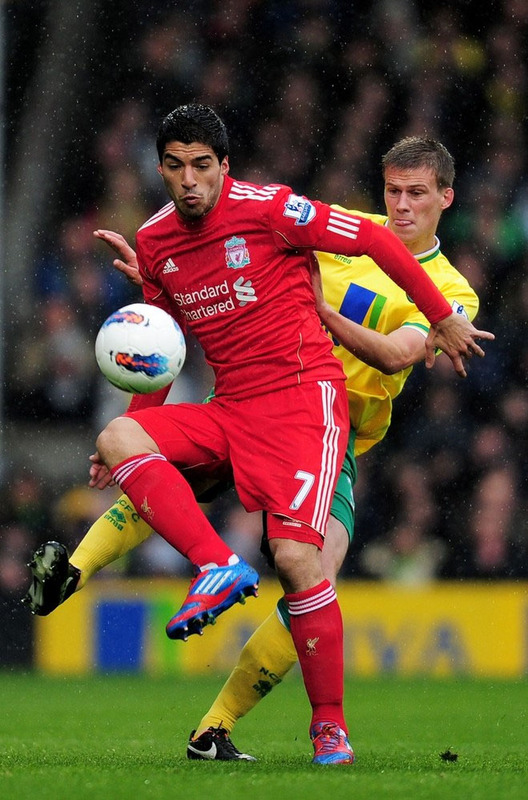 With one touch, Suarez controlled and from the left, with his left, he curled the ball past John Ruddy. 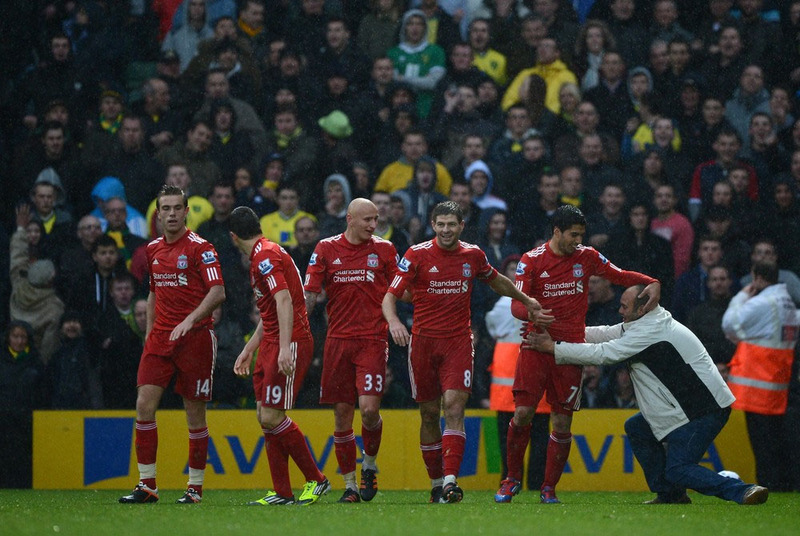 The ecstatic travelling Kop roared his name. A minute later he set pulses racing again when he nutmegged Elliott Ward and crossed for Gerrard, who hammered goal-wards but Elliott Bennett was there with a crucial block. 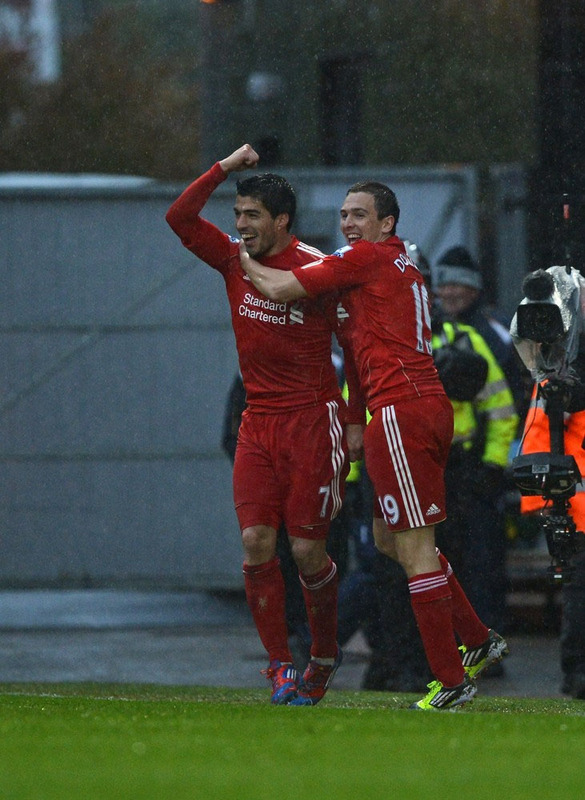 Suarez netted his 16th goal of the season with a sublime, controlled finish from a difficult angle on 28 minutes. Another nutmeg took him past Ward and he burst towards goal and from the right, with his right, he lashed the ball past Ruddy into the bottom corner of the net. 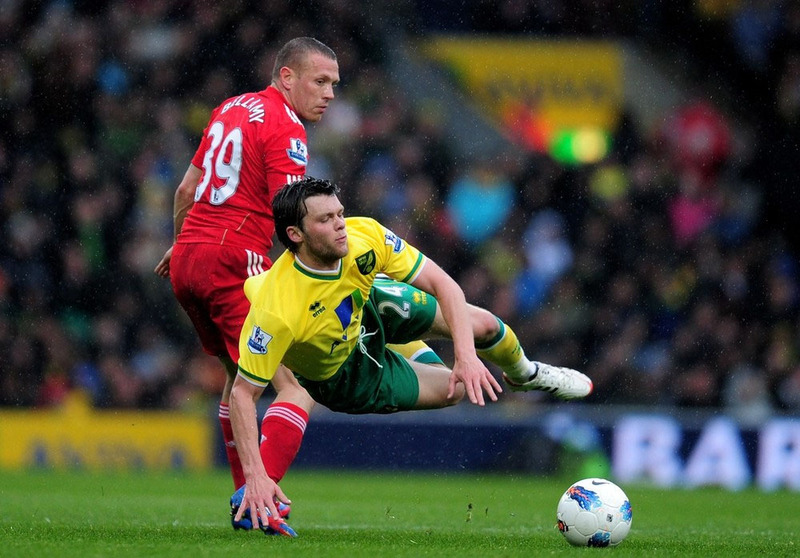 Norwich flew out of the blocks after the interval, forcing a series of corners. 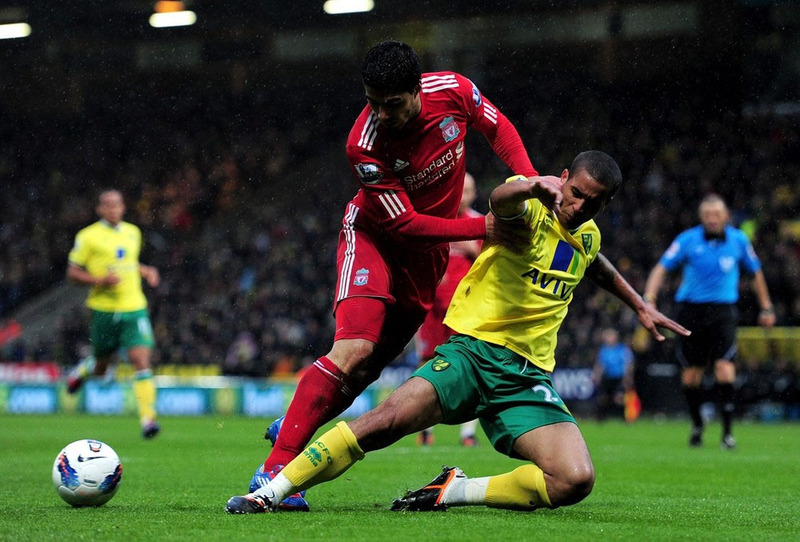 Gerrard headed two to safety before Agger denied substitute James Vaughan the chance to half the deficit. Bennett tested Reina with a swerving drive from 25 yards before Bradley Johnson towered above the Reds defence but nodded over the bar. At the other end, Shelvey nodded onto the crossbar after a fine, free-flowing move. More expansive football was to follow from the visitors. Downing shipped the ball out to Gerrard; he clipped a diagonal pass into Suarez who had sprung the offside trap perfectly. The Uruguayan found Downing who shot over the bar. Then Gerrard fed Enrique down the left flank. The Spaniard whipped into the centre but it was too heavy for Shelvey. On the hour mark Downing drew a fine save from Ruddy after the winger flummoxed a Norwich defender and dragged his effort across the face of goal. Four minutes later it looked like Suarez had clinched his first-ever Liverpool hat-trick when he broke through on goal and tried to dink the ball over the keeper, only for his effort to land on the roof of Ruddy's net. Then the hat-trick came. 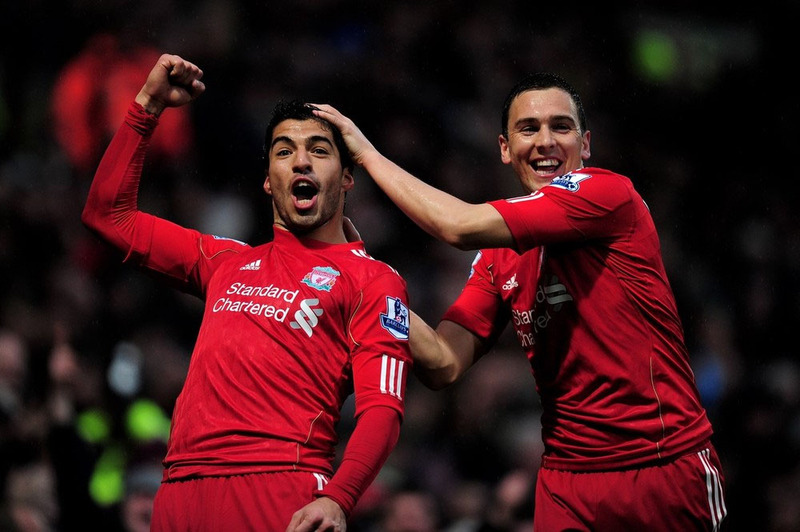 Looking up, Suarez saw Ruddy off his line and lofted the ball over him for 3-0.